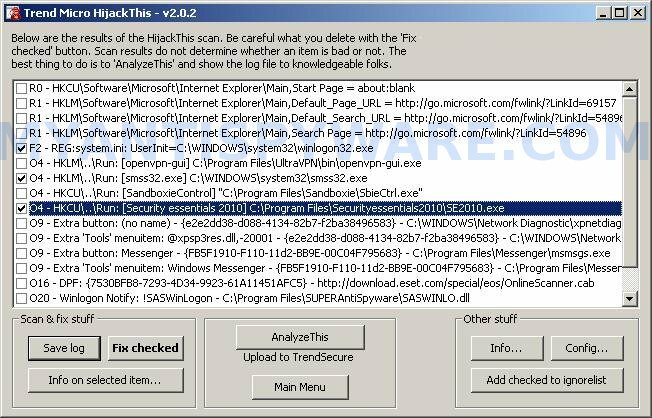 HijackThis is a free tool that finds all traces of threats such as adware, malware and spyware. When the scan is completed, HijackThis creates a depth report of registry and file settings from your computer. This log gives you the ability to selectively remove malicious items from your PC. Use the following instructions: How to use HijackThis.